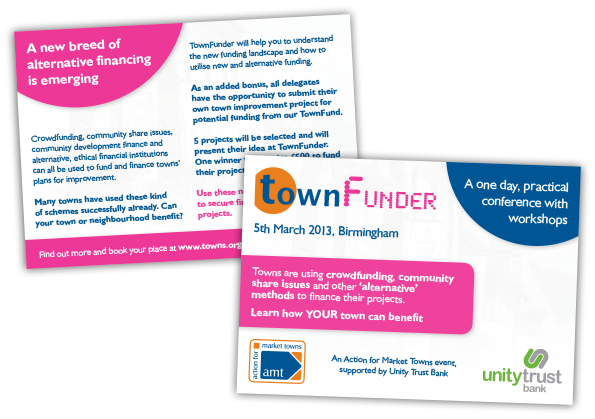 A 4 page, A5 leaflet for Towns Alive, part of Action for Market Towns to promote their Making Enterprise Partnerships Work event. 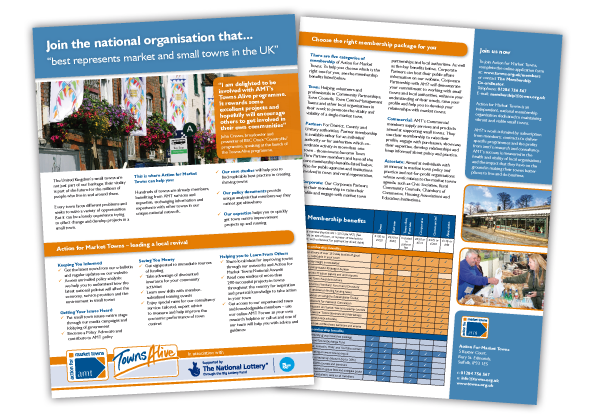 An A6 double sided postcard for Action for Market Towns to promote their Town Benchmarking event. 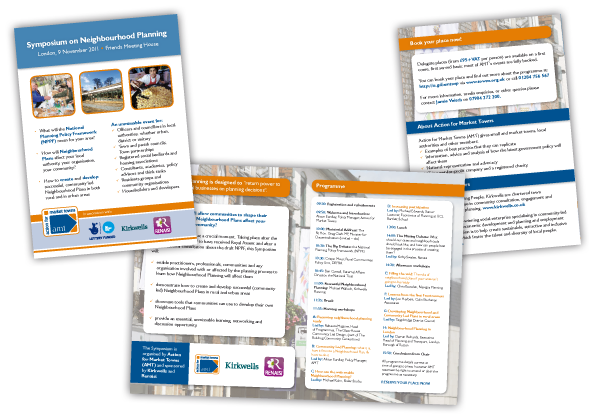 A 4 page, A5 leaflet for Action for Market Towns promoting their Symposium on Neighbourhood Planning event. 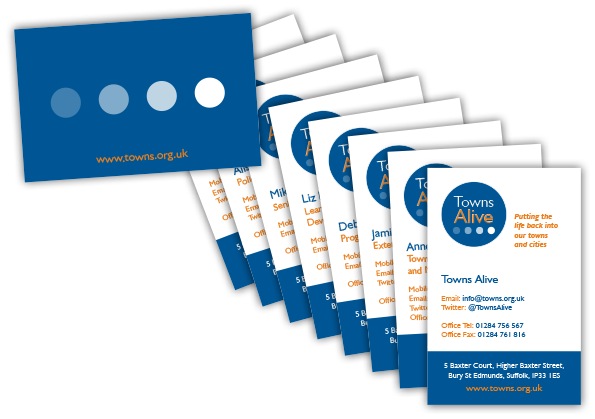 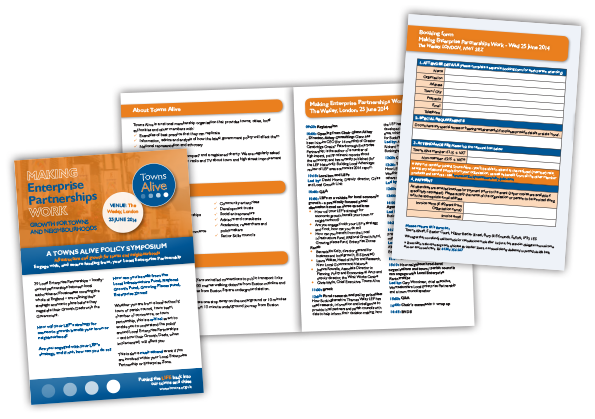 An A4 double sided flyer for Action for Market Towns (AMT) promoting their membership packages. 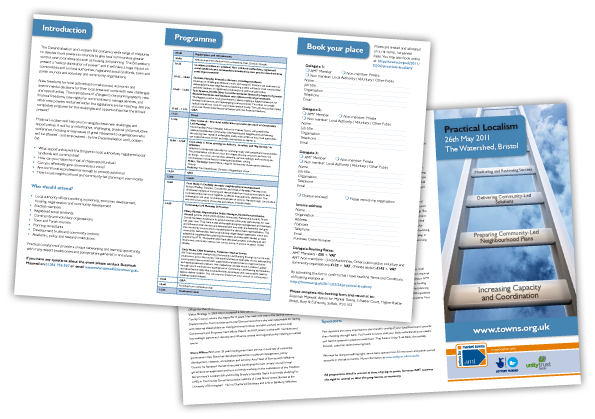 An A3, roll folded, event brochure for Action For Market Towns to be used to promote their Localism Ladder Event.